Listed wealth management firm AFH Financial has bought Hayburn Rock for up to £3.5 million. Based in Stourbridge, Hayburn Rock is a firm of financial advisers which works with both individuals and companies. Stephen Perks set up the company with his wife Suzanne in 1996 and it has around 1,500 active clients. Mr Perks and nine advisers will join Bromsgrove-based AFH, bringing more than £100 million of funds under management and 260 financial and mortgage advisers across the UK. Under the terms of the acquisition, the maximum purchase price is £3.5 million dependent upon the performance of Hayburn Rock. 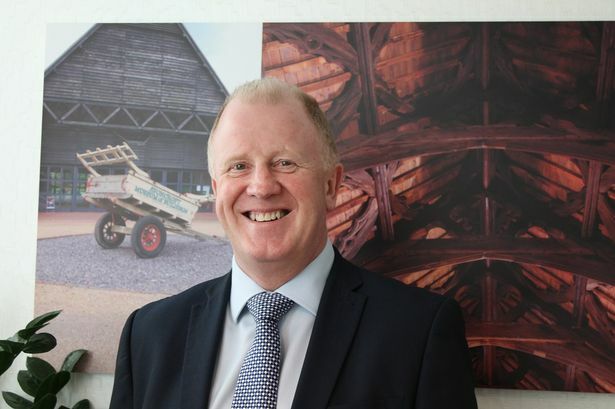 Alan Hudson, chief executive of AFH, said: "The acquisition of Hayburn is our fourth transaction this financial year and further consolidates AFH as a leading financial planning led wealth management firm in the West Midlands and indeed the UK. "Hayburn is a local business to AFH which should enable an efficient integration process. "I am pleased to welcome Stephen and his team to AFH and look forward to working with them to provide their existing clients with the benefits of the full range of AFH services and to increase shareholder value." Mr Perks added: "In 23 years, we&apos;ve managed to build up a medium-sized business but the industry has changed in that time and &apos;medium-sized&apos; businesses just don&apos;t make sense any more. "The time we have to spend on administration and regulatory compliance means we&apos;re just not able to grow and give new clients the 100 per cent of our time we think they deserve. "AFH will give us the support and expertise we need and the group&apos;s economies of scale and great client proposition mean our clients will be getting an all-round better deal while continuing to have us looking after them."